Home Equity Loans: Should You Access Your Equity? Weighing the risk versus the reward when cashing in on your greatest asset. For most people, a house is not only where you call home; it’s also your greatest financial asset. Unlike a car, homes typically gain cash value over time. A home equity loan allows you to borrow against that value for strategic financial gain. But is an equity loan the right choice? Equity is the fair market value of a property minus any remaining balance owed on the mortgage. If your home is worth $250,000 and you have $100,000 left to pay, you have $150,000 in equity. In general, unlike cars, homes increase in value over time. Although property values fluctuate, the trend over the long term is usually positive. As you pay off the mortgage, there is less liability to offset the property value. A home equity loan is a financing option where you borrow against the value built up in your home. In most cases, you can only borrow up to roughly 85% of the home’s value. You take out a new mortgage that pays off the old and then gives you a payout of the difference. If the home is worth $250,000 then 85% of that value would be $212,500. Minus the remaining $100,000 balance on the mortgage, you could finance up to $62,500 with a home equity loan. Bear in mind that you typically must pay closing costs if you take out a home equity loan. 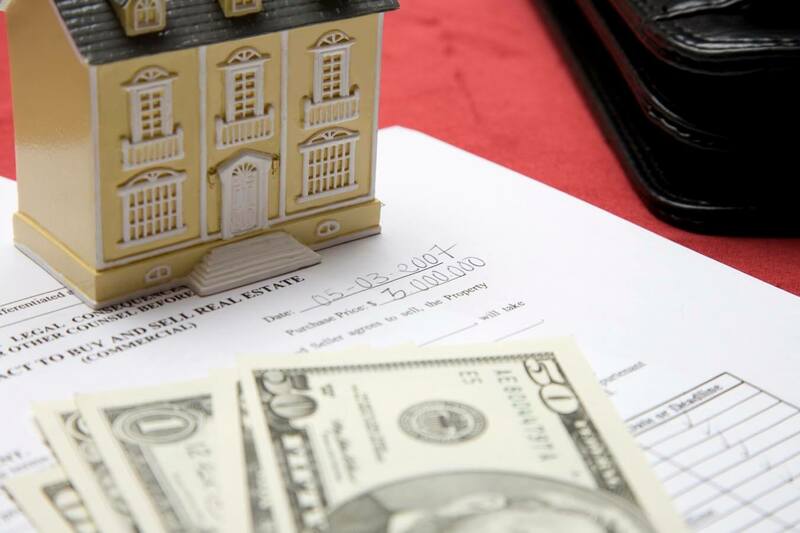 Closing costs generally range from about 2 to 5 percent of the loan amount. The interest rate on the equity loan depends on your credit score. This means you should have a good credit score to apply for a home equity loan effectively. Home equity loans are often commonly referred to as “second mortgages” because you effectively have 2 loans taken out on one home. Making the choice to access your home’s equity is not a decision you can take lightly. The equity is yours to use, but remember that adding additional financing to your home increases your risk. If you default on a home equity loan or HELOC, you can be at risk of foreclosure. This means you should only use this type of financing option if you have a clear, strategically viable reason to do so. You should also determine if taking out the loan or HELOC will increase your risk, and by how much. Home renovations and remodeling are one of the most common uses for this type of financing. You use the equity in your home to fund home improvement. This increases the value of the property, so it’s a little like spending equity to get more equity. Always consult with an expert before making the decision to access your equity. If you want to use this option, we recommend a quick, confidential consultation with a housing counselor to weigh your options. Call 1-800-435-2261 to request a HUD-approved free consultation. It may seem strange, but you can use home equity loans to strategically invest your money. If the rate of return is higher than the interest rate on the loan, then it can be a smart choice. This only works when mortgage rates are low and the investment market is strong. It’s also worth noting that the “borrow to invest” concept doesn’t require you to rely on equity. You can take out an unsecured personal loan to do the same thing. Student loan debt can be an immense burden. It’s one of the only types of debt you can’t easily discharge through bankruptcy. The government can garnish your wages and tax refund or levy your bank account. And the monthly payments can consume your budget if you have limited income. That’s why some people use equity to cover education costs. You can take out the equity loan ahead of school to pay tuition and other costs directly. You can also use the equity to pay off your student loans. Just be careful that this doesn’t put mortgage stability at risk. If you have a major expense that comes up that you can’t cover with savings, you can use a home equity loan or HELOC to provide the cash you need. This is better alternative than taking out a payday loan that can have finance charges over 300%. However, it’s a better idea to have savings serve as your emergency fund. Setting aside cash means you don’t need extra financing to cover a serious expense. The last reason people commonly take out home equity loans is for credit card debt repayment. If you have a large volume of credit card debt to pay off, a home equity loan may seem like a viable solution. However, it most cases the reward is not worth the risk in this situation. Credit cards have notably high interest rates – most cards have rates in the high teens or twenties. By contrast, a home equity loan or HELOC would typically have a much lower rate. The problem is that you take out a secure loan to pay off unsecured debt. This significantly increases your risk. Credit cards are generally unsecured debts. This means there is no collateral attached your debt. As much as a collector might threaten you, they can’t actually take your property without a civil court judgment. In other words, they must sue you. But if you use an equity loan to pay off your credit cards, now the debt is secure. If you can’t pay back the loan, you could be at risk of foreclosure. By taking out the loan, you increased your risk in a way that’s usually not worth the return. A home equity loan is a fixed-rate loan that allows you to borrow against the equity built up in your home. You receive a lump sum of cash that you pay back in installments. You generally must pay another round of closing costs to take out the new loan. By contrast, a HELOC is Home Equity Line of Credit. Instead of taking out the full amount at once, you have an open credit line you can borrow against during a withdrawal period. There’s still a set limit to how much you can withdraw, but you take the funds out as needed anytime before the withdrawal period ends. In general, most HELOCs are adjustable rate financing tools. You typically pay interest only for 10 years, then you pay back the principal (what you withdrew) after 10 years. This means payments “balloon” at the 10-year mark. One of the biggest advantages of a HELOC is the ability to borrow only the funds you need. With a home equity loan you receive all the money at once. A home equity line of credit allows you to withdraw only what you need. This can be more useful, especially depending on what you want to use the funds to do. For example, let’s say you want to use your home’s equity to fund a renovation project. If you take out a loan, you may not end up using all the funds you took out. Or worse, you may go over budget and not have enough money. With a HELOC, you can withdraw money as the project progresses. This avoids overages and undercutting your budget. Upfront, a HELOC costs less because you don’t have to worry about covering closing costs. Closing costs of a home equity loan generally range from 3-5% of the amount financed. So a home equity loan generally costs more to set up. A HELOC may also start out with a lower interest rate, because the rate is adjustable. However, you have to worry about economic fluctuations. If the Federal Reserve raises benchmark interest rates, the rate on your HELOC almost always increases, too. With a home equity loan, you lock in the rate at the time you take out the loan. You don’t have to worry about market fluctuations. This means that the total cost of a HELOC is difficult to assess ahead of time. If rates stay low, then the cost of a HELOC overall may be less. But only if rates stay low. With home equity loans, you can at least know what the total cost will be upfront. Another advantage of a home equity loan is you never have to wonder what your payments will be next year. You pay off principal and interest from the outset. The payments stay fixed from the first to the last. On the other hand, home equity lines of credit are interest-only for 10 years. That keeps your initial payments low, but it means you have a notable increase 10 years into repayment. Once the withdrawal period ends and the repayment period begins, the monthly amount may bust your budget. And remember, HELOC interest rates adjust with the market. If your 10-year balloon payment goes into effect in a year where rates increase, a HELOC can get out of control quickly. This leads to a risk of default and subsequent foreclosure actions. 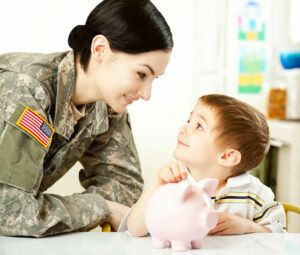 It’s important to note that you can choose to make a principal repayment during the withdrawal period. This will reduce next month’s interest expense and increase the available credit line during the draw-down period. It also may minimize the amount you need to repay once with withdrawal period ends. Once it does, the loan payment typically becomes self-amortizing over the remaining loan term. That means that the minimum monthly loan payment is no longer interest only. The payment is sized so that monthly payments over the remaining loan term are large enough to both cover the interest expense and to pay off the loan. If you have a HELOC with a 20-year term and a 10-year draw, after 10 years the loan becomes self-amortizing over the remaining 10-year repayment period and you can no longer draw against the line of credit. Whether you take out a home equity loan or HELOC, it’s important to understand both increase your foreclosure risk. Your home is the collateral used to secure the financing you receive. So, if you fall behind on the payments, the lender is within their rights to start a foreclosure action. That’s true for a home equity loan, as well as a home equity line of credit. As far as which option has a greater risk of foreclosure, it depends. The financial burden of a home equity loan is higher overall. The monthly payments that cover both interest and principal may burden your budget. However, once you get used to making the payments, your budget should balance out. Unless you lose your job or have a major life event, there should not be an issue. With a home equity line of credit, the burden up front may be less. Most people don’t have any issue with a HELOC when it’s interest-only. However, you may hit a financial cliff in 10 years once you start to repay the principal. Reverse mortgages are not exactly the same thing as a standard home equity loan. They are specifically geared to help seniors access the equity in their homes. As such, reverse mortgages have a specialized lending process, more targeted qualifications and a different repayment schedule than home equity loans. In some part, these safeguards are put in place to help protect seniors using reverse mortgages. All homeowners for the property must be age 62 or over. At least one homeowner must reside in the property as a primary residence. You must complete a reverse mortgage counseling session before getting your loan. In addition, once you get your reverse mortgage, you don’t pay anything back every month. In fact, no money is due on the loan until the last homeowner on the deed passes away or moves out of the residence. By contrast, a standard home equity loan is available to anyone, regardless of age. There is no residency restriction and you don’t even need to take a course or undergo any kind of counseling before you take out the loan and get your money. You also start to pay the loan back immediately, just like you do with other lines of credit. Are Reverse Mortgages as Risky as Home Equity Loans? In general, most experts recommend that consumers should avoid home equity loans whenever possible because they are too risky – especially if the loan is being used to pay off some other type of debt, such as your credit cards. Effectively, if you take out a home equity loan to pay off excess credit card debt, you are securing unsecured debt using your home as collateral. As much as a credit card company or a collector may threaten that they can take your home to pay your bill, your assets can’t be liquidated for this kind of payoff without a bankruptcy judgment. On the other hand, if you secure a loan using your home as collateral, then the lender can take your home if you fail to pay the debt back. If you get behind on your payments or face trouble, such as unemployment, you can lose your home. The last thing you want to deal with on top of financial distress is foreclosure. By contrast, a reverse mortgage doesn’t have monthly payments, so there is nothing for you to fall behind in paying. 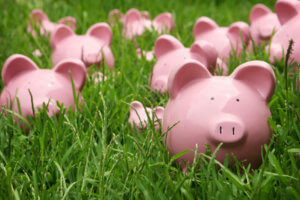 The equity in your home is effectively used like a savings account that you can borrow from. It’s only after the last living owner passes away or moves out that the money comes due, so at no point will the lender take your home because you failed to pay your loan back. So whereas home equity loans are a risky proposition for almost any consumer to use, a reverse mortgage is a relatively safe option to use for seniors in the right financial circumstances. The only payments you need to be concerned with when you have a reverse mortgage are any property taxes and your homeowners’ insurance. You must keep up to date with these payments and maintain your home in good condition. As long as you do this and remain in your home, your reverse mortgage will not come due. With a home equity loan, you also have to pay homeowners insurance and taxes, in addition to the monthly payments you must make on the loan. However, experts usually agree that the rate reduction and ease of qualifying are not worth the risk added. As mentioned above, borrowing against the value of your home is fine as long as your financial situation doesn’t change. Still, financial changes happen even if you don’t intend them. You could lose your job, the real estate market could take a bad turn, and suddenly your home is at risk of foreclosure.